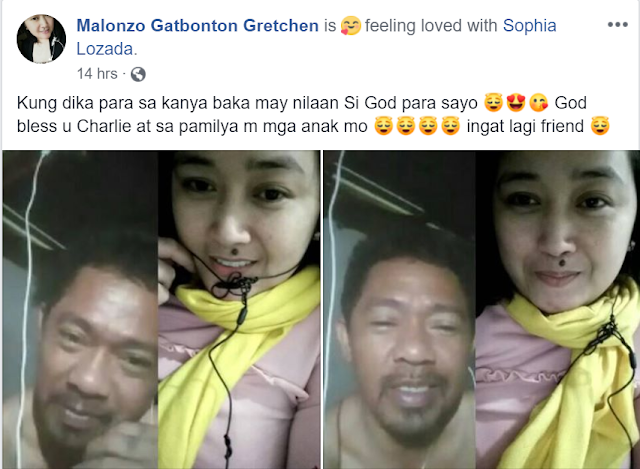 Do you remember the story of an OFW named Sheerlyn Gerasta and her tricycle driver husband, Charlie Lozada featured by Raffy Tulfo? Charlie went to Tulfo to ask for help after her wife allegedly cheated on him while working as an OFW. Tulfo's intervention didn't help because Sheerlyn already chose her new man, Edwin Madrideo, over her husband and their five children. 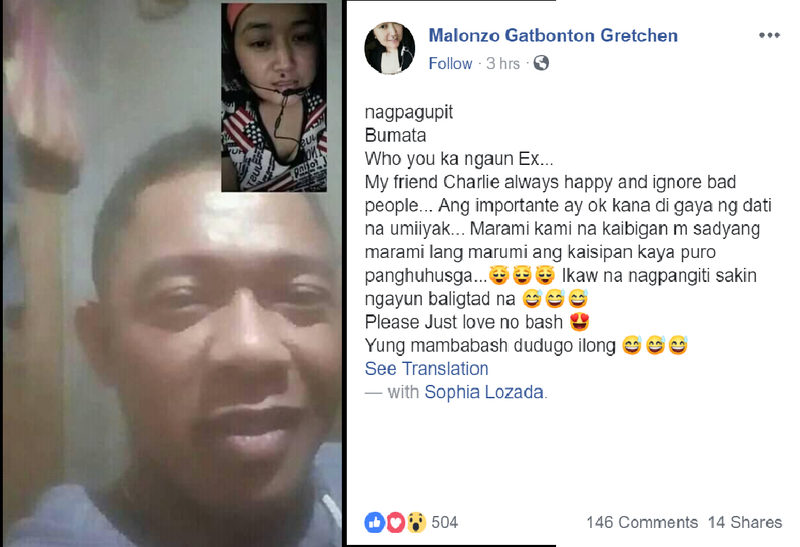 But it seems like Charlie found a new love after one woman has been sharing screenshots of her video call sessions with Charlie and his daughter, Sophia. 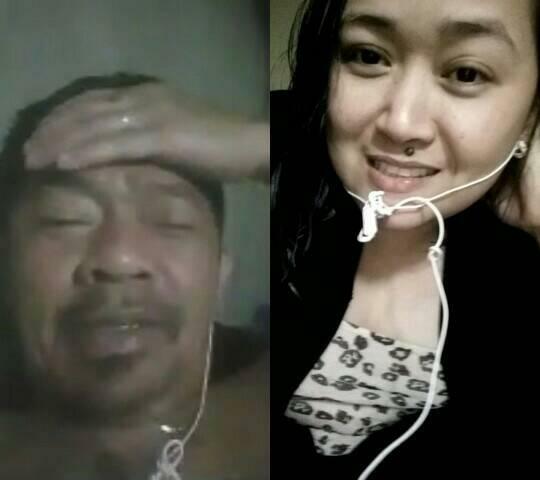 The woman is identified as Malonzo Gatbonton Gretchen, an OFW that works in Saudi. According to the caption of the post, the two considered each other as friends but netizens are quick to judge that they are in a relationship. They've been continuously calling each other and sometimes caption her post "I love you", a statement for a friend she explained. Apparently, Gretchen would leave hints of what she feels for Charlie and how willing she is to be with her especially in his condition. 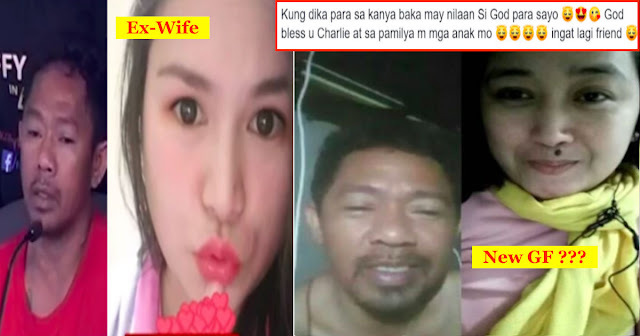 Tulfo had given Charlie Php100,000 to start a new life and it is also a good start for a new love story. 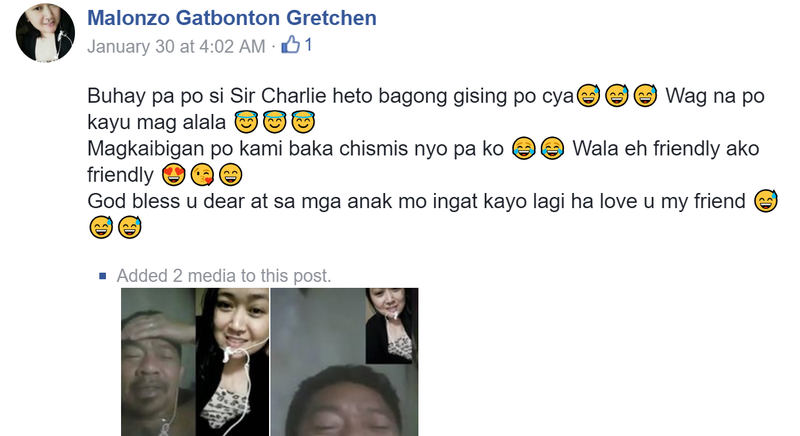 After all, Charlie deserves nothing but the best and happiness as we all do. 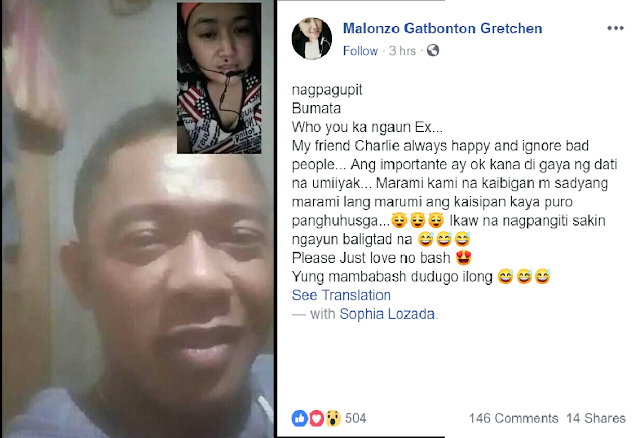 Let's no judge them, rather be happy that despite what happened, Charlie still chose to move forward for himself, for his children, and who knows, for Gretchen.